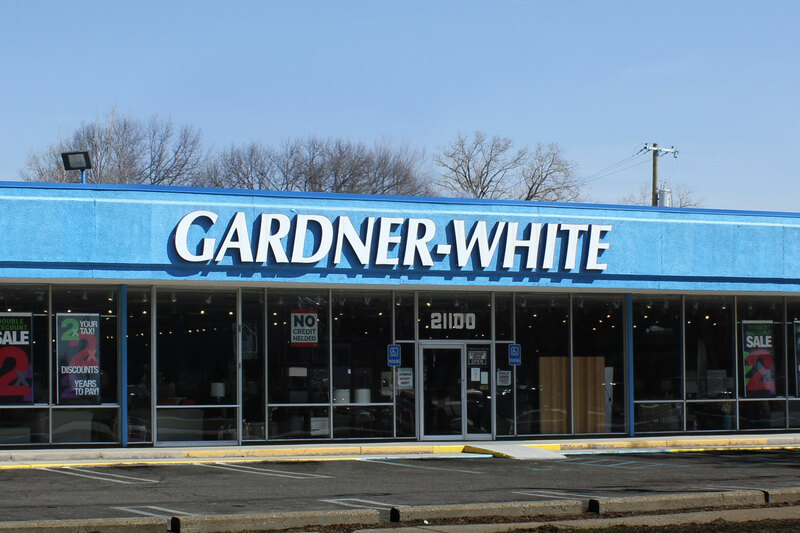 One of the first Gardner-White locations to bring great furniture values to southeastern Michigan, our Southfield location is on the north side of 8 Mile Road between Evergreen & Lahser. 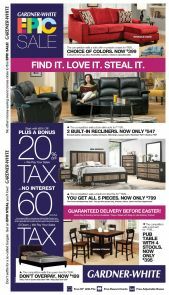 See today's ad here. 21100 W. 8 Mile Rd. 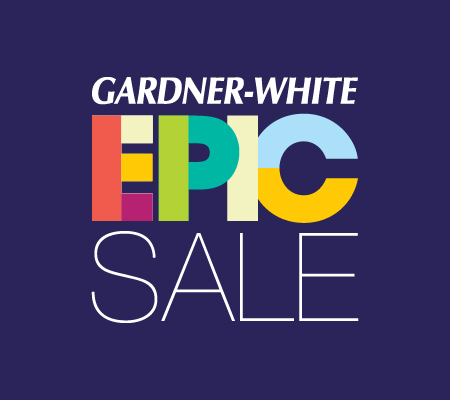 At the Southfield outlet, you'll find one of a kind floor samples, big bargains and great deals on as-is items. Our loss is your gain!